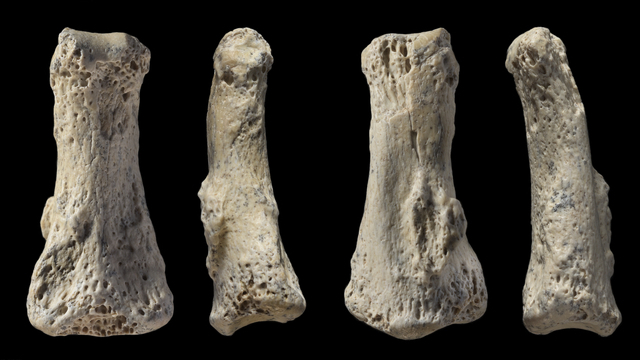 A fossilized Homo sapiens finger bone discovered by archaeologists working in the Nefud Desert of Saudi Arabia in 2016 is approximately 88,000 years old, according to a study published in Nature Ecology and Evolution today (April 9). This is the oldest human fossil found outside of Africa and the Levant—the region that includes modern-day Israel, Palestine, Lebanon, and Jordan. 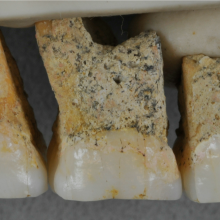 It indicates that humans dispersed from Africa sooner than archaeologists previously believed. Iyad Zalmout, a paleontologist at the Saudi Geological Survey, discovered the fossil at an archaeological site at Al Wusta, Saudi Arabia, on January 20, 2016. He tells Newsweek that he wasn’t sure what species it was at first. 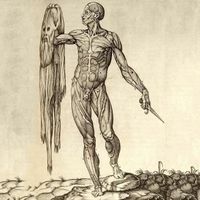 “[I scratched] my head for a few minutes as I tried to build a picture of who or what this bone belonged to,” he says. 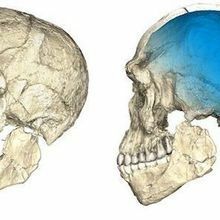 Zalmout’s colleagues conducted a 3-D scan of the 3.2-cm-long fossil and compared its shape to finger bones of other Homo sapiens as well as other primates and Neanderthals. The results confirmed that the bone belonged to a human. Using uranium series dating, the researchers determined that the specimen was approximately 88,000 years old. An examination of the discovery site revealed that it was a monsoon-fed lake in a semi-arid grassland at that time.